Other Products by PrimaForce. 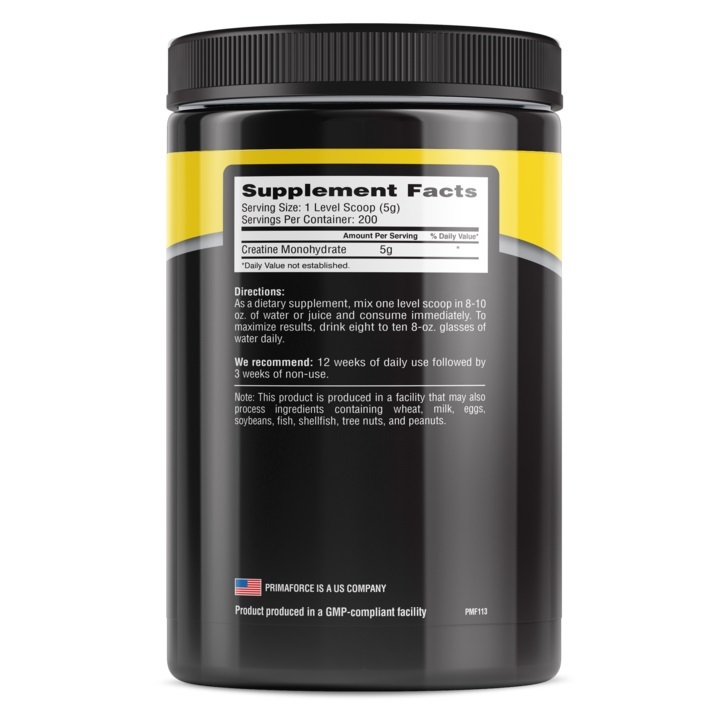 Search other Creatine products. Loading Phase (Days 1-5): 20 grams divided into four doses of 5 grams each. A dose should be taken first thing in the morning, pre workout, post-workout, and in the evening. Maintenance Phase (after loading): 2.5 to 5 grams per day, ideally pre and/or post workout. This product is produced in a facility that may also process ingredients containing wheat, milk, eggs, soybeans, fish, shellfish, tree nuts and peanuts.